The Costello Commemoration Committee owes much to its first chairperson, Miriam Daly, who was a member of the Ard Chomhairle of the IRSP when Seamus was murdered. Her politics were very similar to those of Seamus, and it was for her adherence to them she met the same fate and was murdered in her home by agents of imperialism. She was tireless and persistent in her efforts to see Seamus fittingly honoured, especially by the unveiling of the memorial at Little Bray churchyard. For that occasion, which meant so much to her, she wrote the oration, which was delivered by James Daly. She made the occasion a time of meditation on the meaning of Seamus’ life and death. The themes she emphasised were his essential rationality and morality. She was conscious that the core-meaning of the life of a revolutionary is a universal one, and that it is nothing if not the embodiment of the highest ideals and aspirations of man, a struggle for the triumph of good over evil. Her tribute to Seamus is in itself a tribute to her own kindred spirit. OUR TIME OF mourning is over. Death, even the natural, peaceful death of an old person who has completed his life span and been blessed to live to see his children multiply and prosper, is always experienced by the living as a blow, as a threat to the security with which they plan ahead and relate to others. The pain of bereavement is like a sickness for which the only certain cure is time. And in the case of Seamus Costello the sorrow was all the greater and the suffering the more acute since he was struck down by a hired assassin at 38 years of age. The essentially unreformed and irreformable nature of the British police apparatus in the six-county state is pointed up by recent events in Strabane and Newry. 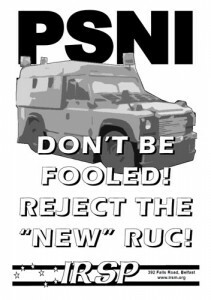 In Strabane, the Irish Republican Socialist Party report, the PSNI (Police Service of Northern Ireland) used their considerable stop and search powers a total of 756 times in a three-month period earlier this year (April-June). 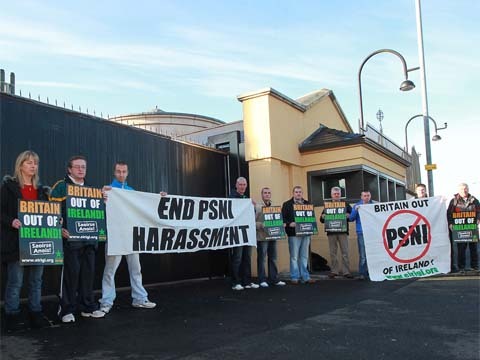 In Newry, PSNI harassment of nationalist areas like the Derrybeg estate takes place frequently. On September 28, a police “security operation” saw homes being raided and residents harassed and abused. On that day, local éirígí spokesperson Steven Murney was punched and kicked in public while attempting to assist a neighbour whose car was being searched. Although it was Murney who was assaulted by the police, he was the one arrested and charged with assault. In Newry, éirígí have been a particular target as they go about building a movement of resistance to both British rule and capitalist austerity. In Strabane, the IRSP has been building similarly. It’s important that overseas supporters of Irish freedom, and in particular of socialist-republicanism, publicise these kinds of cases and point to the way in which the ‘new Northern Ireland’ hasn’t changed anything fundamental – it’s still a gerrymandered entity because it is built on a denial of Irish national self-determination and it is still about preserving the power and wealth of the rich at the expense of the working class and small farmers. Members of éirígí erected a camp at the former Andersonstown barracks site in Belfast over the weekend of 21-23 October and engaged in a 48-hour fast in solidarity with Palestinian prisoners who had undertaken hunger strike action against conditions in Israeli jails. The solidarity activities also included two evening vigils and the distribution of leaflets to raise awareness of the current situation, especially that of PFLP leader Ahmad Sa’adat who was moved to Ramle prison hospital after three weeks on strike. Despite the poor weather, hundreds of people visited the camp over the course of the weekend. For pictures and video click here. The following speech was delivered by Seamus Costello to a Sinn Fein educational conference in Dublin in February 1969. It provides an excellent overview of the left developments that were taking place in the Republican Movement in the 1960s, especially the latter 1960s. It also offers important insights into Costello’s own thinking and his role in these developments. Moreover, it is not simply an interesting historical document. His explanation of how the Republican Movement was built up in Wicklow provides useful lessons today to revolutionaries not only in Ireland but internationally. The text is taken from the RedPlough blog. My intention is to demonstrate during the course of this lecture how the working of democracy at both local government and national government level can be related to the work of mass movements. I will deal first of all with the experiences to our Movement at local level, showing the effects of our activities both inside and outside the local authorities. I then propose to relate those experiences to our Movement at national level, showing what I believe would be the likely effects of our involvement in parliamentary action. The socialist republican party éirígí has announced it will establish a camp at the former Andersonstown barracks site in Belfast and engage in a 48-hour fast in solidarity with Palestinian prisoners currently on hunger strike in Israeli prisons. Prisoners began a hunger strike on Tuesday 27 September. They are calling for an end to the policy of isolation for all prisoners, for an end to the three-year-long solitary confinement of Ahmad Sa’adat, the General Secretary of the Popular Front for the Liberation of Palestine, and for an end to the systematic humiliation of Palestinians at checkpoints and crossings as they visit the prisons. Over 500 Palestinians are currently on hunger strike in jails scattered throughout the Israeli state. éirígí representative and former Belfast chair of the Ireland-Palestine Solidarity Campaign John McCusker said, “Republicans recently marked the 30th anniversary of the end of the 1981 hunger strike, and now we find it necessary to draw attention to what is currently happening in Palestine. Why do people accept capitalist ideology as common sense? Why are the problems of capitalist society typically seen as problems of society in general? For instance, the fact that hundreds of millions of people in the world go without even basic nourishment, shelter and clothing is usually said to be a problem of ‘overpopulation’ rather than one of capitalist social relations under which profit rates over-ride people’s actual needs. Similarly, inequality is seen as the result of people’s different abilities rather than the workings of the system within which those abilities exist and are constrained. 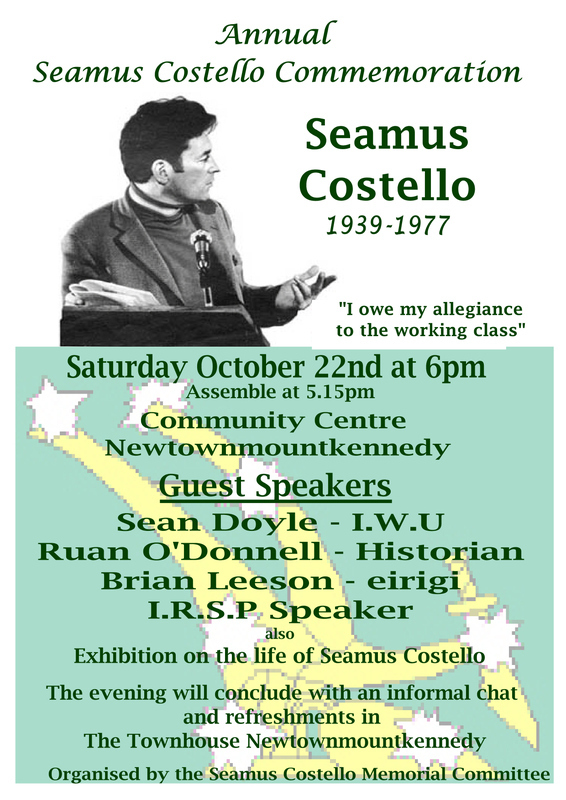 Excellent to see both IRSP and éirígí speakers at a meeting, especially one about Seamus Costello and his legacy. The presidential election – don’t encourage them! I suppose it says something about the vacuous nature of mainstream 26-county politics, and the state those politics reflect, that someone like Sean Gallagher appears to be pulling out in front in polls for the presidential election. His election site and the short vid I looked at there are certainly utterly banal and empty in terms of any political substance. Comments Off on The presidential election – don’t encourage them! On 21st January, 1919, Dáil Éireann held its opening session and the Irish Volunteers drew their first mortal blood since 1916 at Soloheadbeg, Co. Tipperary. These facts have set the seal for subsequent historians of the first months of the year. Yet such an emphasis is the product of subsequent events rather than of judgement of contemporary news. 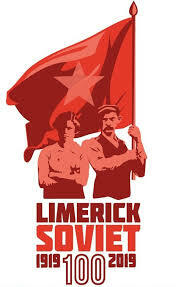 The first Dáil and Soloheadbeg were, in their time, isolated incidents in a period that was more notable for industrial unrest. 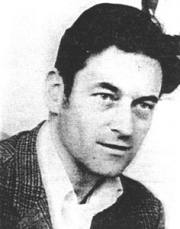 The Belfast engineering strike began within days of those two nationalist events and, before the end of the month, Peadar O’Donnell was leading the Soviet occupation of Monaghan Asylum. These were just the outstanding stoppages. That such events have been downgraded in favour of the then less frequent acts of the national struggle is not altogether mistaken, however. The existence of the Dáil provided a long term institutional focus for the national struggle that the social ones could not match, either in the IT&GWU or in the Irish Labour Party and Trade Union Congress. The refusal of these bodies to seek to take the consistent lead of the War of Independence from the Dáil enabled the latter to dominate what had to be the initial struggle against British imperialism. In this position, it won many from the economic struggle as the national struggle that it led had superseded the economic issues in intensity by 1920. On the other hand, the Labour leaders’ justification for their inaction – the need to maintain trade union movement unity, which was then at one with Labour’s political party in the Syndicalist manner – betrayed itself in the end with the Larkin split. As you are aware from reading the daily and weekly newspapers, we are about to be blessed with a visit from King George V.